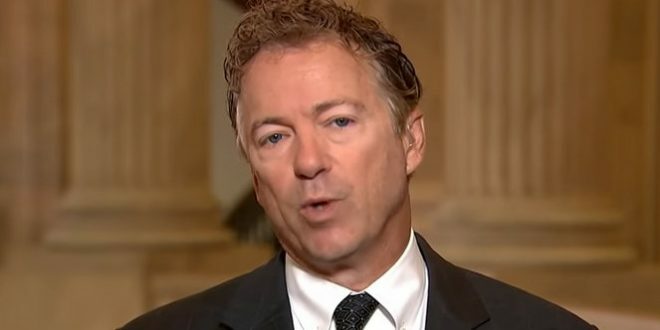 Rand Paul Celebrates Trump's Attack On John Brennan: I Filibustered His Nomination As CIA Director In 2013 - Joe.My.God. Sen. Rand Paul (R-Ky.) on Wednesday praised President Trump’s decision to revoke former CIA Director John Brennan’s security clearance, an action Paul had lobbied Trump to take. “I filibustered Brennan’s nomination to head the CIA in 2013, and his behavior in government and out of it demonstrate why he should not be allowed near classified information,” Paul said in a statement after Trump announced the move. “He participated in a shredding of constitutional rights, lied to Congress, and has been monetizing and making partisan political use of his clearance since his departure,” Paul added.